Art collecting is a profitable practice that few people embrace. Huge art and artifact collections like that of Bernard and Shirley Kinsey are filled with original works by key figures in the legacy of African-American culture. Quite literally, the Kinsey’s are the stewards of numerous important African-American works of art and artifacts. Though the bevy of artists in their collection is atypical, it is a testament to the importance of keeping your mind and your pocket open to art. The Kinsey’s are just one example of well-known African-American art collectors. Civil Rights activist Paul R. Jones, Dr. Walter O. Evans, and Bill and Olivia Cosby are a few others. Certainly these are exceptional examples of middle and upper middle class African Americans of a certain generation who collect, but it brings to light that we do collect art. They each have experienced the financial and personal benefit of art collecting, but the practice is often seen as an activity for ‘the mature middle class.’ The truth is these individuals started their collecting journey as young professionals and some as early as college. Yet another unrecognized aspect of starting a collection is being unaware of the potential treasures you may already posses, including art by regional or folk artist. Original artwork that is well documented, be it by a student or local artist, intrinsically increases in value. So, check your storage closets and attics for original artwork and start your research. Check for the artist’s signature and begin compiling articles written about the artist or their exhibitions. Also, conserving the condition of art by getting it framed or properly displayed is important. The more you value your own art, the more valuable it becomes to others. The popular television show Antiques Roadshow regularly affirms these practices while appraising objects based on principles applicable to art. The adage, “one man’s junk is another man’s treasure,” is true. Capitalize on original artwork donated to another source. Many serious art collectors have at least one or two finds at a good price from thrift and secondhand stores, so do not be embarrassed to start your journey there for original art. So, why are young adults less inclined to consider art collecting as a practice to pursue? Ironically, one possible and simple answer to that question is that although art is ubiquitous, it is generally underappreciated in our society. Think about it: your trip to the bank, a café or even on a college campus like Florida A&M University would be a shade less inviting if it were not for the art that graces the walls or the public sculptures or murals. Because of this, art might be perceived as simply an aspect of décor in the same vein as a candle or an area rug. This impression can lead to sticker shock to those who visit an art gallery and see the prices next to a work of art. Keep in mind artists spend money in buying materials, not to mention the time and energy it takes to conceive and create. They often only raise the profit margin just enough to break slightly above even. Do not let price tag fears intimidate your art buying experience; not all original works of art will break the bank. Art can be surprisingly affordable, especially when purchasing directly from an artist or another novice collector. Consider visiting a graduate student show at a university gallery or an art festival where you may have an opportunity to negotiate with the artist for a great price. Lastly, a good rule of thumb is to simply buy what speaks to you. Do not worry about current trends or if the artwork matches your dining room. Always buy original signed works of art. The poster-sized prints at the department store, albeit affordable and convenient, will not yield any value in the long run. You do not have to belong to a certain age group or socioeconomic class to start your own collection. Original art is valuable and for many, like the Kinsey’s and now hopefully you, art collecting supports the artist and becomes a smart investment in so many ways. 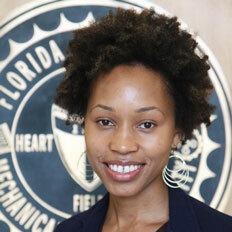 Aja Roache is currently an assistant professor in the Fine Arts Department at Florida A&M University where she teaches classes in art management and is the gallery coordinator for the Foster-Tanner Fine Arts Gallery. Join Roache on Dec. 27 at 6 p.m. for a live Twitter chat get tips for starting your art collection. Follow @ FAMU_LivingWell. Copyright © 2012. Florida Agricultural and Mechanical University Living Well 101. All rights reserved. No portion of this document may be copied and/or duplicated without prior written permission of Florida Agricultural and Mechanical University.